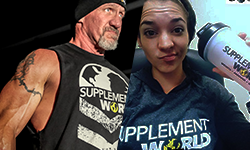 Supplement World West Wichita on Ridge (view location details here) will be holding a demo day with 8 of the awesome #teamSW athletes on Saturday October 1st from noon to 4pm! The athletes will be sampling out products, giving away tee-shirts and answering questions! 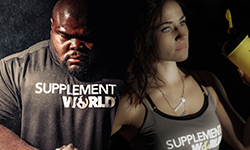 Along with the demo's, we will be offering store-wide promo's and discounts on all supplements! Come stock up while the savings are right! **Promo's and sales will be valid October 1st at both the Wichita and Andover locations. See below for the athlete's demo times. We hope to see you Saturday!